Trails are well-marked. The one accessible even for prams leads safely past magnificent rapids to a lean-to-shelter campfire site. For a longer hike, take the open aapa mire trail or forest trail to Sortovaara. 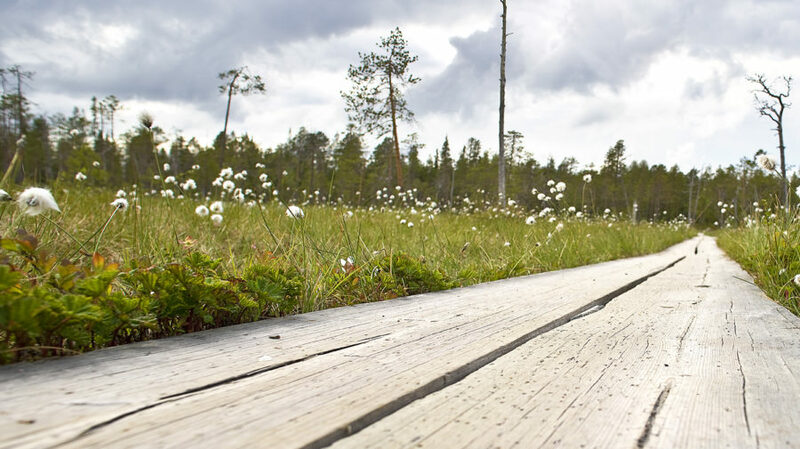 Outdoor activities in the peace of Lapland are close to town all year. Take a relaxing trip after a day at work or shopping. In summer, fish or canoe in the wild rapids. In winter, enjoy the snow on skis or snowshoes. The Vaattunkiköngäs or Vikaköngäs Rapids starting points with parking areas are clearly signposted. Also accessable by bus. Further information about tour organisers and bus schedules from Rovaniemi Tourist information.